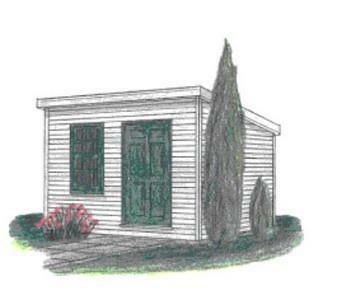 Build an attractive additon to your backyard with a free shed plan. 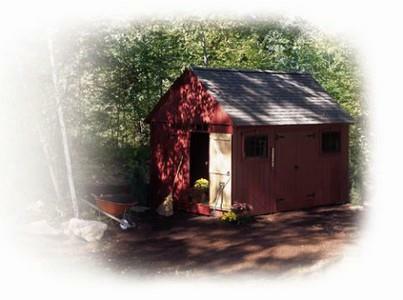 This handsome Colonial style garden shed is proof that form and function can coexist in a backyard building. 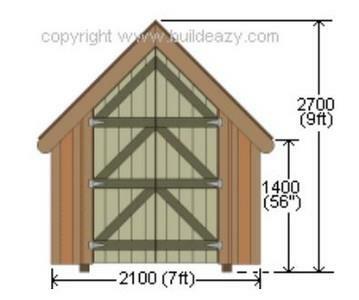 This sturdy shed is constructed of 2x4 framing and board-and-batten siding. 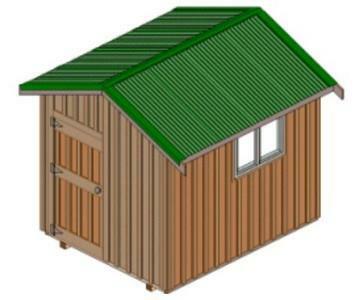 This narrow backyard shed is suitable for the smaller backyard or garden. 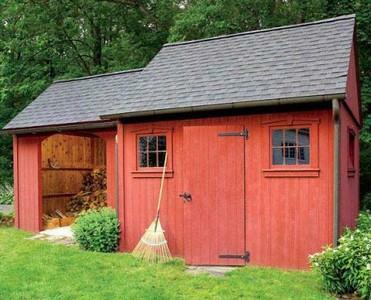 Take care of all your outdoor storage needs with this two-for-one backyard building. This slender structure is an all-weather tool shed. 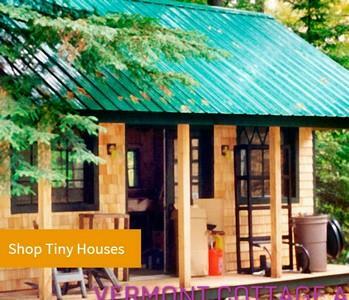 Attached to the outside of the house, this 15 1/2-inch deep structure opens to reveal a spacious (7 feet by 6 feet) storage area. 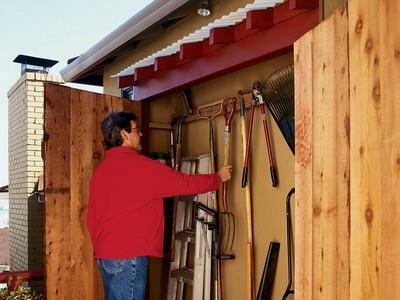 This garden tool shed solves the problem of long-handled tool storage and provides a separate storage area attached to a garage or garden shed. Adding shelves in one side can provide a place for storing fertilizers and chemicals. 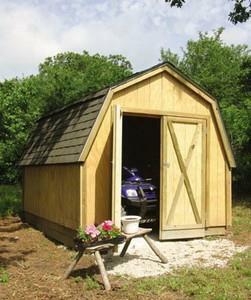 The straightforward design is easy to expand up to about 8 x 12 ft. to suit your storage needs. 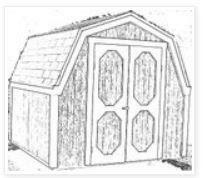 Print this 10ft X 8ft free storage shed plan in PDF format. This free plan-set contains seven pages of detailed plans, drawings and step-by-step instructions. Each wood cottage and shed is crafted with a personality of its own, creating a distinctive and aesthetically pleasing sight. 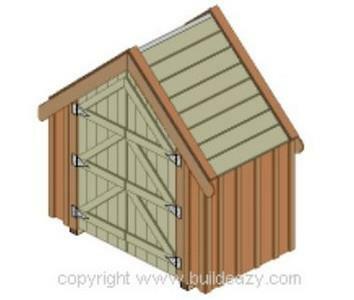 These free plans are for a 8x8 barn style storage shed, garden shed. 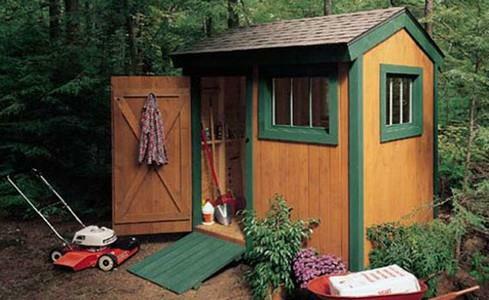 At 10 x 16 ft., this handsome garden shed is large enough for most backyard needs. 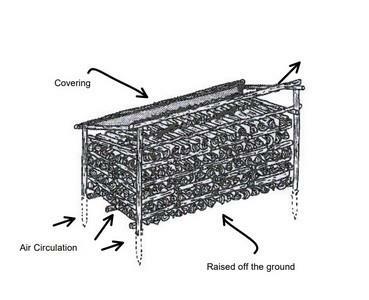 Here you will find a illustrations and instructions on building a simple wood shed. 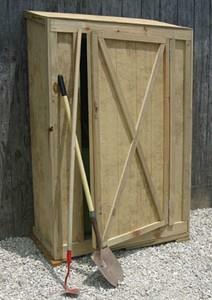 This garden shed is designed with doors on each end to allow easy access to garden tools. 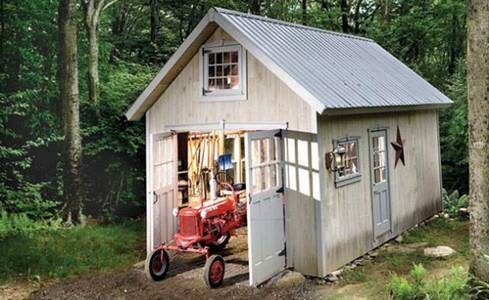 Or you can drive in one door and out the other with a garden tractor.